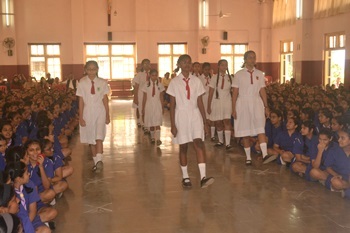 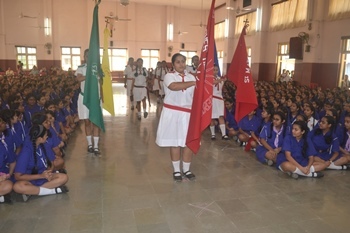 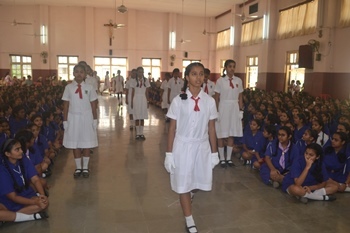 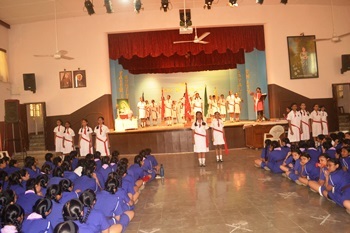 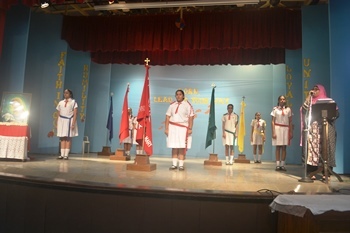 On the 22nd of January 2019, the solemn Installation Ceremony was held in the Senior School Hall. 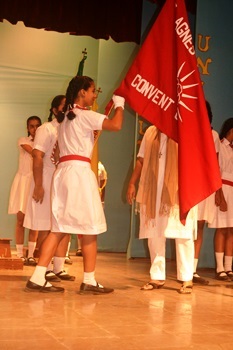 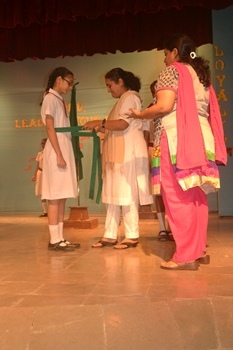 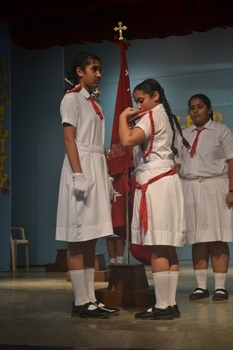 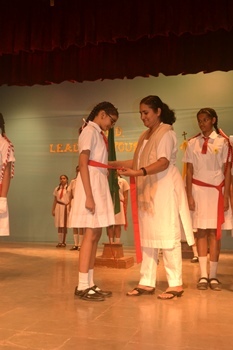 The program began with the outgoing council taking their places on stage, followed by the newly elected council. 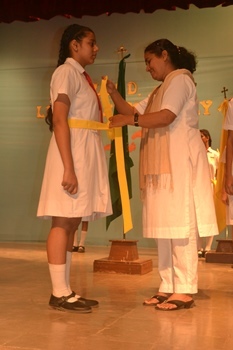 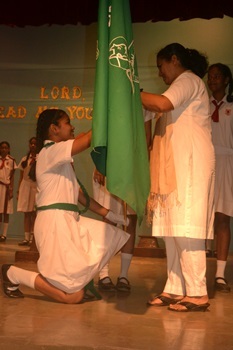 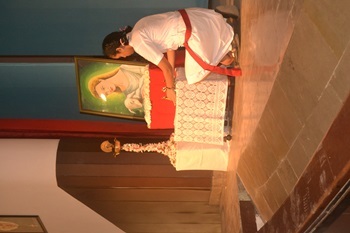 Sheen D’cruz , the outgoing head girl along with the four house prefects lit the samai , a symbol of God’s presence amongst us. 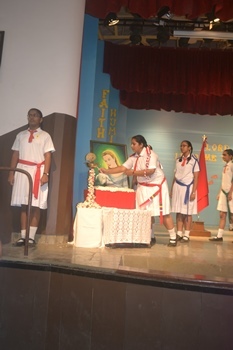 After invoking God’s blessings the investiture ceremony began with the handing over of the respective portfolios to the newly elected council. 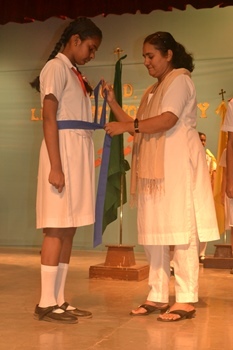 Sr. Antonette then handed over the badges to the council members. 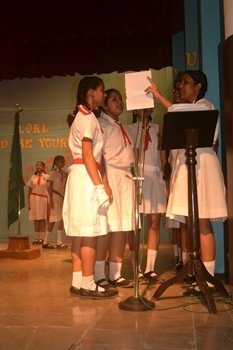 Sheen D’cruz in her speech was grateful to each and every member of the institution who helped her to be what she is today and thanked the entire faculty for the love and support showered on her during her days at St. Agnes’. 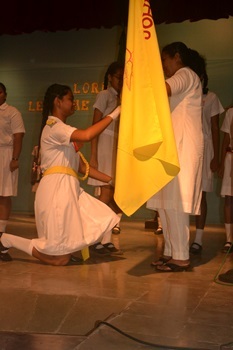 For the hardwork and dedication rendered to St. Agnes, a token of appreciation was given to the outgoing council. 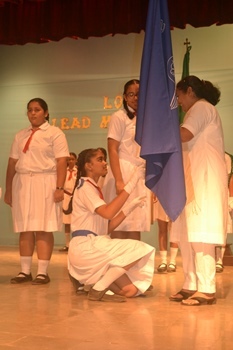 The head girl for the academic year 2019 – 20, Lourdes Fernandes in her maiden speech thanked God for his blessings ,and prayed that God continue to shower his abundant blessings on each member of the institution especially the newly elected members.